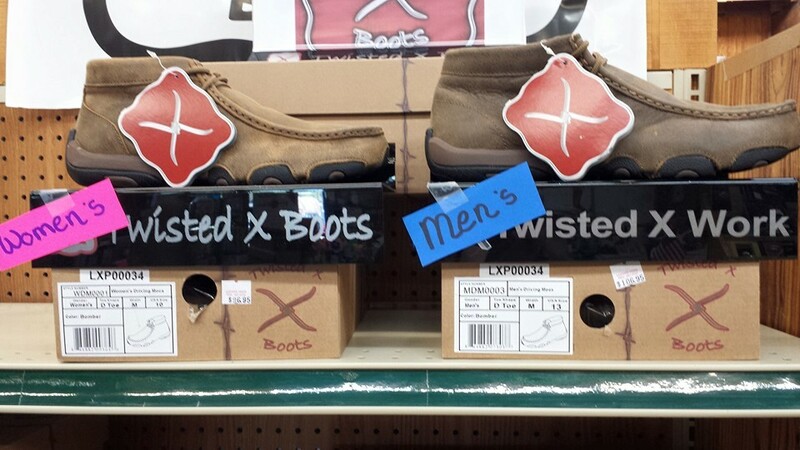 Twisted X Boots and moccasins have arrived at Lochte Feed. Twisted X boots are quality boots made to last. The newest addition to the Twisted X collection are casual mocs perfect for everyday wear. These comfortable casual shoes are unique and ideal for cowboys and hard working individuals. These bring comfort back into your every day leather shoe. Lochte Feed and General Store located in Fredericksburg, TX in the Hill Country carries a great selection of Men’s, Women’s and kids sizes in Twisted X brand shoes and boots. Come by today or give us a call for more information at 830-997-2256. This entry was posted on Tuesday, November 1st, 2016 at 2:43 pm	and is filed under News & Updates. You can follow any responses to this entry through the RSS 2.0 feed. Both comments and pings are currently closed.